Share the post "Metropolis Now"
With a small-town vibe and big-city offerings, the largest city in Central America is also one of the most underrated. Steeped in history with a tropical flair, it’s got something for every type of traveler, from the wandering backpacker to those who prefer a little luxury. Here are Kalu Yala’s recommendations for your next trip to Panama City. All your Japanese favorites with a Latin American twist. Acclaimed chef Mario Castrellon’s innovative menu puts a modern spin on traditional Panamanian cuisine. A European-style eatery with an elegant selection of upscale comfort food and one of the city’s most celebrated brunch menus. One of the best burgers in town, served by a Panamanian chef who trained at California’s famed French Laundry. A local craft brewery with an impressive pizza menu to boot. Start with a free beer flight to taste the entire selection. Panama’s celebrated outdoor fish market serves up the best ceviche and whole snapper in town. A hub for American comfort food with a hearty selection of breakfasts and a strange statue of Albert Einstein outside. El Motete, a local organic grocer, also has its storefront here. An outdoor patio with creative cocktails and a makeshift dance floor. Come for the ambiance, stay for Funky Josh. All the essentials: a full bar, DJ set, dance space, and just enough couches. Not to mention a beautiful overhead look at the city’s skyline. A high-energy nightclub housed in a former theater with salsa dancing on weekend nights. With multiple locations throughout Panama City, this casual pub boasts a menu of more than 200 craft beers from around the world. A hidden gallery tucked away in the Bella Vista neighborhood hosts a revolving collection of art and installations from young local artists, live music events, and weekend yoga classes. International jazz sensation Danilo Perez returned to his native Panama to open up a sleek jazz club in the American Trade Hotel. An impressive lineup of performers is inevitable on any given night, which might include anything from a blues legend to an African drum circle. Locals like to say there’s more biodiversity in a single tree in Panama than in the entire country of Norway. The gorgeous Frank Ghery Biomuseo provides a comprehensive look at Panama’s evolution and the array of species inhabiting our bio-wonderland. It gets crowded on weekends, but it’s worth a trip to the Miraflores Canal Locks to see shipping containers pass through one of the most famous landmarks in the world. Stroll the cobblestone sidewalks in Panama’s historic colonial neighborhood. Admire the traditional architecture, diverse restaurants, and eccentric street art. There’s a crafts market hugging the coast where you can buy all kinds of local souvenirs. A quick ferry ride from Panama City will deliver you to a Caribbean beach oasis complete with fresh ceviche, cheap beer, and white sand. Bring your own cooler, or just a snorkel and some sunscreen. 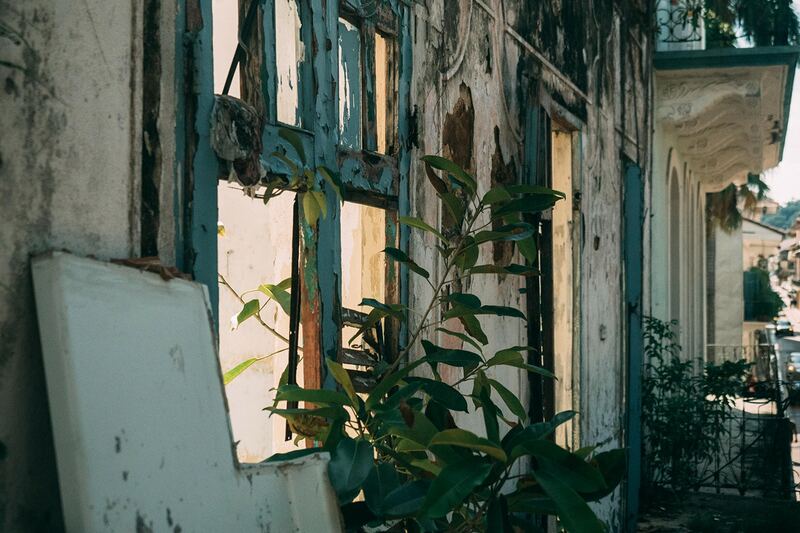 Explore the hulking, crumbling ruins of Panama’s first European settlement — it’s worth it for the photo ops. A 30-minute hike leads you to the highest point of Panama City, providing an unmatched view of the skyline. The climb to the top transports you from the urban environment to the middle of the rainforest; you might even see a monkey or two. The celebrated walkway takes bikers, rollerbladers, and meanderers of all kinds from the downtown Paitilla neighborhood all the way to the famous fish market by Casco Viejo. Stop to admire the outdoor dance classes or to buy an ice-cold respado along the way. Take a journey through Casco Viejo’s gritty past through the eyes of former gang members who used to control the streets. A fascinating meditation on urban renewal and the families and institutions affected by gentrification. Casco Viejo’s most famous hotel, owned by the renowned Ace group. Don’t miss the free jazz in the lobby on weekend nights. A glittering one-stop shop complete with a pool, spa, casino, arcade, gym, and restaurants with an expansive selection of cuisines. An affordable boutique hotel in the heart of El Cangrejo with a beer garden on the ground floor and an impressive collection of art. Part hostel, part private inn, right in the heart of Casco. A quirky hostel in Bella Vista with a rock climbing wall and air conditioned dorm rooms for under $20. Private accommodations are also available. A backpacker’s haven and an international melting pot, Panama City’s most popular hostel has well-priced accommodations and a bar in the basement.